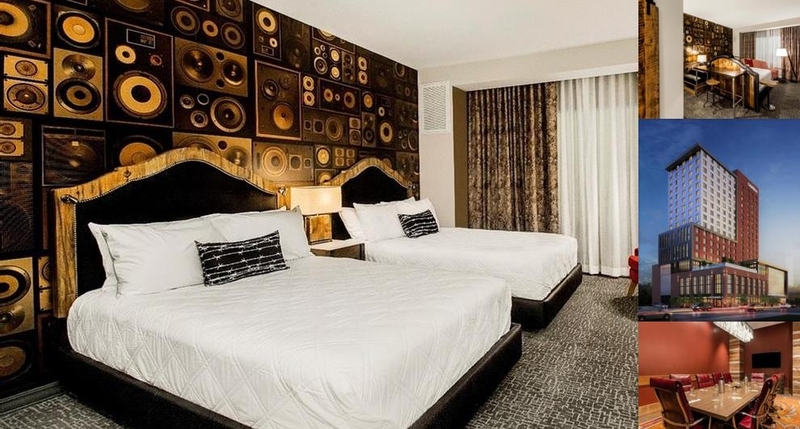 Located at 8th Avenue and McGavock Street in Nashville's SoBro (South of Broadway) neighborhood, the 255-room 4 Star Cambria Hotel is steps from the Music City Center, Bridgestone Arena and Historic Broadway, and is less than a mile from Nissan Stadium. The area is also home to major companies including Nissan, HCA Holdings, Bridgestone and Electrolux, making the property a great destination for business as well as leisure travelers.the property will feature contemporary onsite dining, serving a menu comprised of local specialties; liquor, wine, and local craft beers, as well as freshly prepared grab-and-go gourmet salads and sandwiches; and a barista bar. In keeping with the Music City theme, the property will also include another restaurant on site with a stage for live performances. Additionally, the hotel features over 5,000 square feet of meeting space with AV capabilities for group meetings, banquets and conferences, and a rooftop pool. The Cambria Suites highlights above are subject to change without notice. 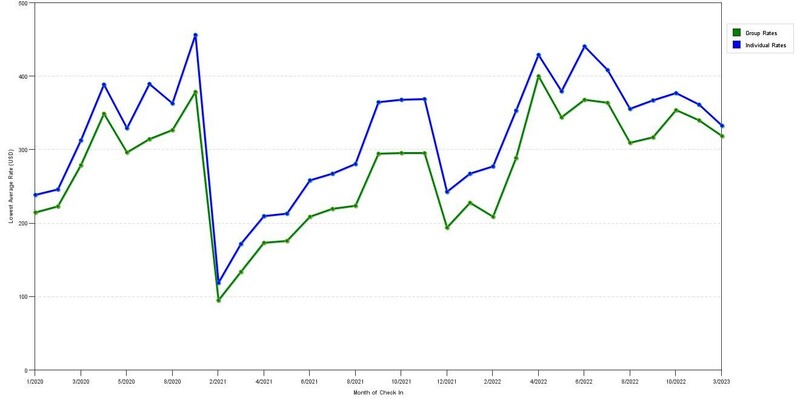 The graph above is averages of room rates for both our group quotes and the lowest online individual rates our rate checker could find at the time the group bid was entered. The best group deal shown is 11.5% in April 2019 and the highest average individual rate is $411 in the month of April 2019. This chart will show past seasonality and also project future months. If you are flexible with dates, you may want to consider staying at Cambria Nashville Downtown in a month when rates are lower. Below are the meeting, banquet, conference and event spaces at Cambria Nashville Downtown. Feel free to use the Cambria Nashville Downtown meeting space capacities chart below to help in your event planning. Hotel Planner specializes in Nashville event planning for sleeping rooms and meeting space for corporate events, weddings, parties, conventions, negotiated rates and trade shows. 23 x 14 x 20 Ft.
30 x 23 x 20 Ft.
77 x 37 x 24 Ft.
37 x 25 x 22 Ft.
37 x 27 x 22 Ft.